Today, September 12, commemorates the 1811 birth of James Hall, Jr., an American geologist (and one of the world’s first paleontologists). Hall was brilliant. But dangerous. And, as often happens in science, his most stunning idea was eventually proven wrong. But for a few decades, the geosyncline theory of mountain building was one of the best ideas in geology. For at least 30 centuries, people had wondered about the origin of mountains. By the 1800s, a few reasonable ideas emerged. Some geologists guessed that mountain ranges were the result of the planet’s cooling, shrinking skin. Mountains are Earth’s wrinkles, they figured. On the other hand, others believed that mountains rose because the planet is expanding. The correct answer is plate tectonics. But the idea of colliding continents was still a hundred years away when James Hall presented his novel geosyncline idea. Hall explained mountains in terms of regurgitated sediment becoming deposited in shallow basins (usually where continents and oceans met). They filled up, heated up, and bounced up after they underwent thermal expansion. Geothermal rebound in or near geosynclines (a word Hall invented) made sense. It was supported, in a way, by Charles Lyell, the great Scottish geologist and friend of Charles Darwin. 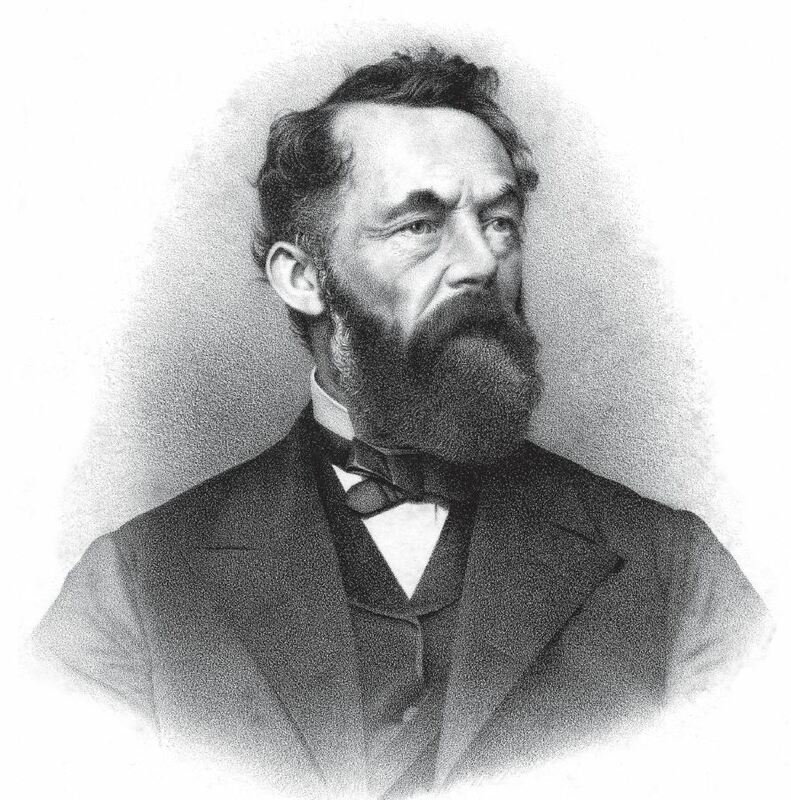 Lyell is sometimes credited with inventing modern geology. His words certainly carried a lot of weight. Lyell agreed that heat expands rocks and helps build mountain ranges. In his influential Principles of Geology, Lyell calculated that 500 metres (about 1600 feet) of a typical mountain’s height is simply due to heated, expanded rock. Not enough to make an Alp, but enough to cause geologists to consider the role played by thermal expansion. 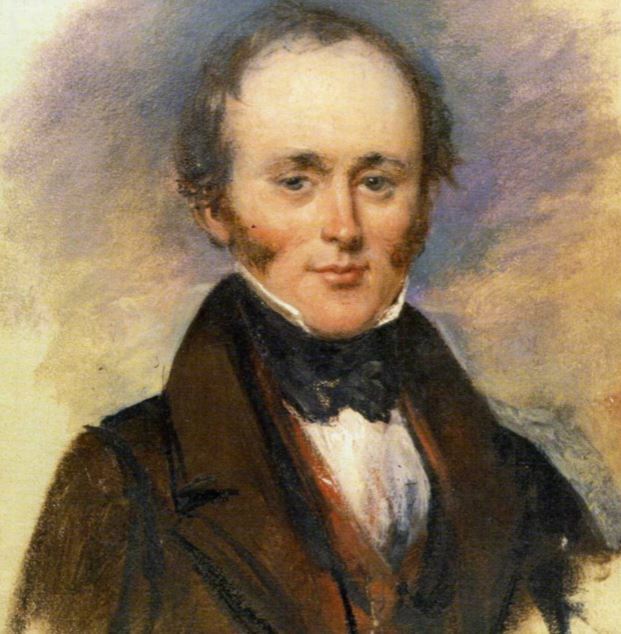 The great Charles Lyell lent respectability to James Hall’s idea, but it was a short-term loan. Hall had a strong ego and an irascible personality that drove a wedge between most geologists and Hall. It would be the same with Charles Lyell, as we will see. Hall had been appointed New York state paleontologist in 1841. The reckless geologist reserved his sharpest attacks for his many enemies in the New York government, men in the legislature who were in a position to help him. His outbursts were infamous, making state assistance reluctant, which made Hall even more tempestuous. He kept a loaded shotgun next to his desk – he wasn’t known to have used it, but the intimidating weapon helped him win arguments. Before detailing James Hall’s dispute with Charles Lyell, here is an example of Hall’s rash behaviour. Hall’s government office published geological outcrop maps. Hall had made several significant contributions to naming and defining geological eras and periods. He was an expert paleontologist and his fossils helped identify rock layers throughout New York. But the lofty style of his work was inaccessible to ordinary folks. That changed after James T. Foster, a New York school teacher, published a popular geological chart in 1849. The chart was rife with errors, but it was clever and popular. Hall was jealous and indignant, and set to kill. He didn’t kill Foster. But in Albany, Hall slipped aboard a boat headed to New York City. The vessel was hauling Foster’s geological charts. Hall worried that if the prints reached New York and were released, European geologists would injure themselves laughing at the bucolic state of American science. During the night, Hall threw all the prints of Foster’s offensive chart into the Hudson River. Next, he and Harvard geologist Louis Agassiz published letters in the Albany papers, claiming that Foster’s work was a childish effort created by an amateur dabbling in science. The school teacher, James Foster, felt insulted. He sued Hall and Agassiz for the equivalent of a million dollars in today’s money. The subsequent libel suit entangled Hall, Agassiz, James Dana, and other geologists for two years but was finally dismissed by the judge. Meanwhile, America’s first ‘science’ trial brought favourable international attention to the callous Hall and to the other American geologists involved. Hall’s volcanic temper also got him in trouble with Charles Lyell. Lyell was touring North America in 1841 and 1842. Lyell’s incessant questions and his habit of copying American geological maps began to irritate his hosts. They nicknamed Charles Lyell “The Pump” and stopped feeding him the maps and notes they had worked hard creating. James Hall worried that Sir Charles Lyell would return to Britain and claim the Americans’ material as his own work. In March 1842, a letter signed “Hamlet” appeared in a Boston newspaper. It charged Lyell with the scientific sin of geo-kleptomania. Hamlet was Hall and Hall was suddenly ashamed of himself for anonymously insulting such an esteemed guest. In his embarrassment, James Hall treated Charles Lyell with even more respect and deference than he deserved – Lyell had certainly exceeded the bounds of any visitor’s allotted indulgences. But Hall’s fresh attitude soothed the insult towards Lyell. In return, Charles Lyell was somewhat open to Hall’s account of mountain building. In the geosyncline theory, mountain-building was counter-intuitively explained as a result of landslides that filled deep chasms. Layers of sedimentary sandstone, limestone, and shale found in mountains were due to massive accumulations of sediment that slid into huge near-shore chasms created by the weight of earlier eroded sediments, buried deeper and deeper in geosyncline troughs. The accumulation of sediments became so thick they sank far down into the hot basement of the subsurface and melted. Eventually everything expanded because of heat, and rose high on the surface in the form of mountains. 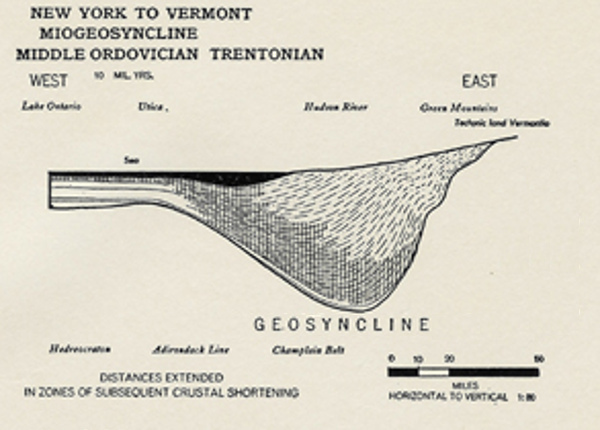 The geosyncline theory was popular in North America. For one thing, it was a home-grown idea, invented and taught in America. The Europeans were stuck in a debate between a shrinking vs expanding Earth as the cause of mountains. In the USA, it was geosynclines that built mountains. Hall teamed up with James Dana, the popular head of Yale’s geology department, to flush out the details of the model. Together, they concluded that erosion washes grains of rock off continents, dumping them into nearby seas where the weight of the grit depresses the sea floor. The amount of accumulated sediment becomes so enormous that the material pushes down thousands of metres. In the case of the Appalachians, Hall and Dana figured the depth of accumulation was about 12,000 metres just before those mountains rose from the depths. It is fairly easy to imagine huge depths of eroded materials. But finding a way to elevate these twisted hardened rocks back above sea level was problematic. The geologists assumed that the heat of the deep burial plus the pressure of the Earth expelled the geosyncline’s material, forming mountains – like toothpaste squeezed from a tube. It was a convincing theory, but unfortunately there were no existing active examples anywhere in the world that it actually happens. Nevertheless, for lack of another way to explain mountains, the idea was accepted in the US for decades. 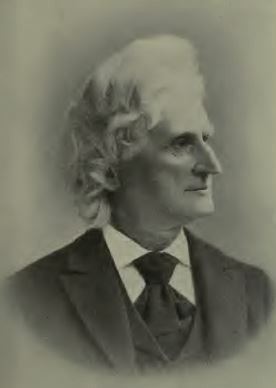 The idea long outlasted James Hall, who lived 86 years, dying in 1898. It would take another 70 years before plate tectonics replaced geosyncline theory in America’s universities. By then, the idea had become so ingrained into the understanding of geology that it was hard to overturn it. This entry was posted in Biography, Geology, History, Non-drift Theories and tagged Charles Lyell, geoscyncline theory, James Dana, James Hall. Bookmark the permalink.